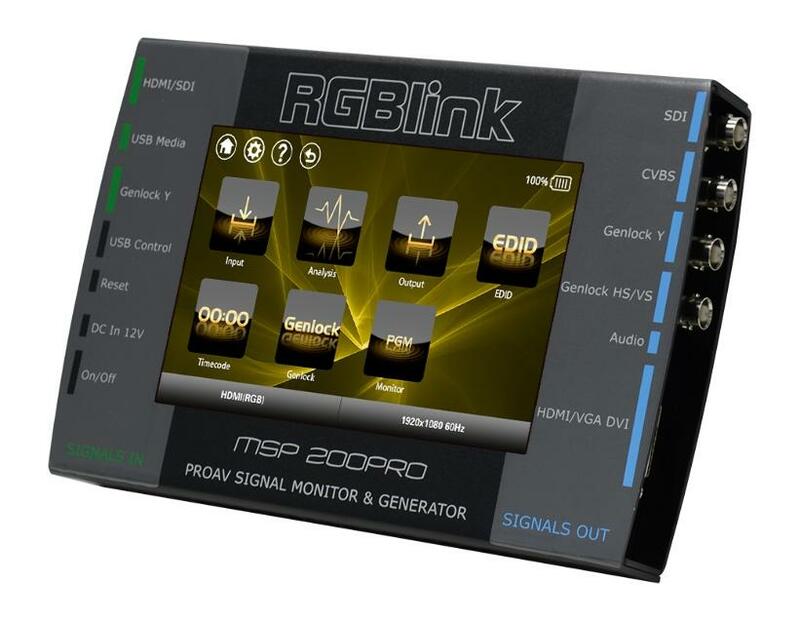 The msp200pro is an essential tool for any audiovisual professional. It is a test pattern generator with a set of additional capabilities that greatly facilitate the tasks of installing and configuring systems. This laptop offers hdmi and hdsdi input (optional) and sync, as well as allowing the connection of a usb memory stick. The input can be transcoded to composite, sdi or dvi, with an independent audio output and sync output. It has a touch screen that allows the monitoring of any of the inputs. In addition to this function the equipment allows the emission of test patterns and frame rate indicator, which allows to check the delay of a video system. You can also manage the edid of an incoming signal to analyze a possible problem. Finally, the msp200 pro has a waveform monitor and a vectorscope as well as a histogram indicator, which are visible on your screen. There is an additional battery module that allows its use without power and is supplied with a carrying case.